Tall structures that can obstruct aviation? Tall structures can obstruct flying and affect aviation safety when in the vicinity of an aerodrome and penetrate the obstacle limitation surfaces. Also they can be an En-Route obstacle when located between flying destinations . The term tall structure includes tall buildings, television (TV) masts, power plant chimneys, radar antennae, electricity pylons, wind turbines, construction cranes and other. In this article we focus on TV transmitters and Tall Buildings in the UK. However we have previously written about tall buildings affecting aviation activities in Australia and the US. 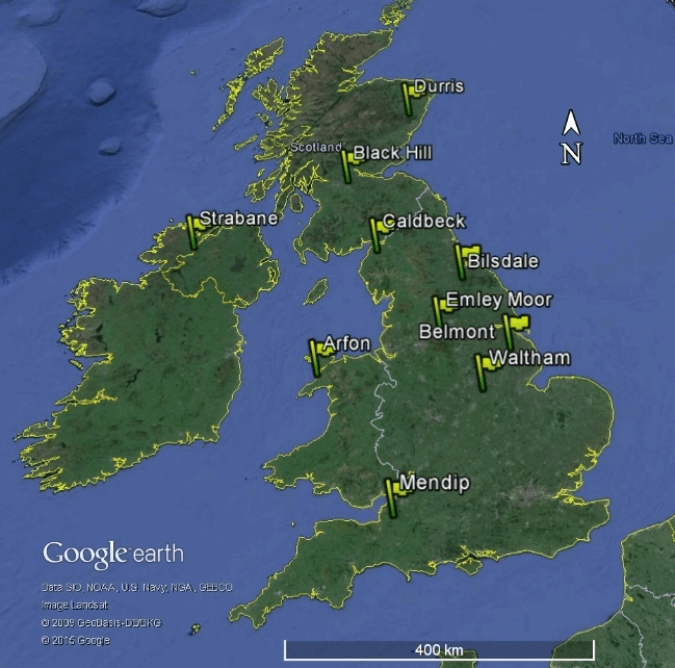 In the UK there are over 1,150 TV transmitters distributed all over the country. Among which, 67 are main transmitters. Main TV transmitters are usually significantly taller than the rest due to the large areas they serve. Their average height in the UK is 155 metres / 508 feet above ground. These 10 transmitters can be seen in Figure 1 below. The tallest TV transmitter structure in the UK is Belmont having a height of 343 metres / 1,125 feet. For comparisons, the tallest TV transmitter in the world appears to be KVLY – TV Antenna in North Dakota, USA having a height of 629 metres / 2,063 feet. 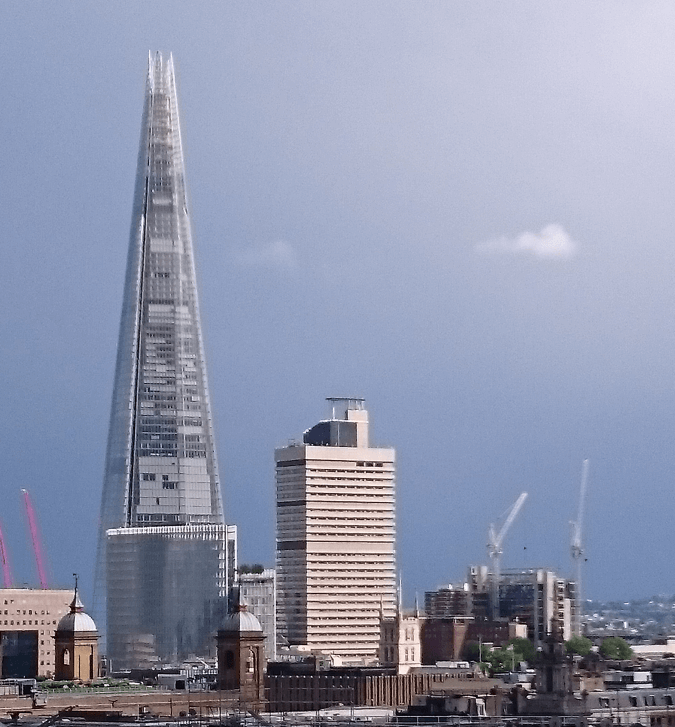 The tallest building in the UK is the Shard which has an overall height of 306 metres / 1,004 feet. For comparisons, the tallest building in the world is currently Burj Khalifa having a height of 828 metres / 2,717 feet. Any tall structure penetrating any obstacle limitation surfaces (vicinity of an aerodrome) or having a height of 150 metres and above (away from an aerodrome) needs be lit . There could be instances where tall structures with heights less than 150 metres will also need to be lit. You can read more about wind turbine aeronautical lighting requirement here. There are many different types of tall structures that can affect aviation safety. 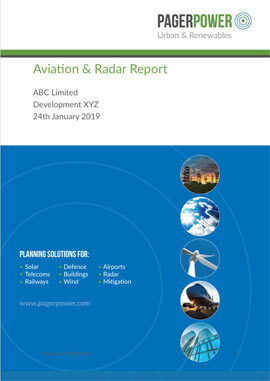 These include TV masts, power plant chimneys, radar antennae, electricity pylons, meteorological towers, wind turbines, telescopes, construction cranes and of course tall buildings (e.g. commercial, offices, hotels). In the UK there are 67 main TV transmitters with an average height of 155 metres / 508 feet above ground. These are located throughout the UK. In the UK the vast majority of tall buildings are located in London. Outside London tall buildings exist in urban environments such as Manchester, Birmingham, Leeds, Liverpool, Swansea, Edinburgh, Glasgow, Cardiff, Belfast and other. Tall structures are likely to keep increasing in numbers. When planning for such developments it is recommended to investigate whether there could be any aviation concerns which could constrain the structure’s height. Image accreditations: “Tower from Afar” by Jeff Hitchcock / CC BY 2.0 / changes have been made from original. 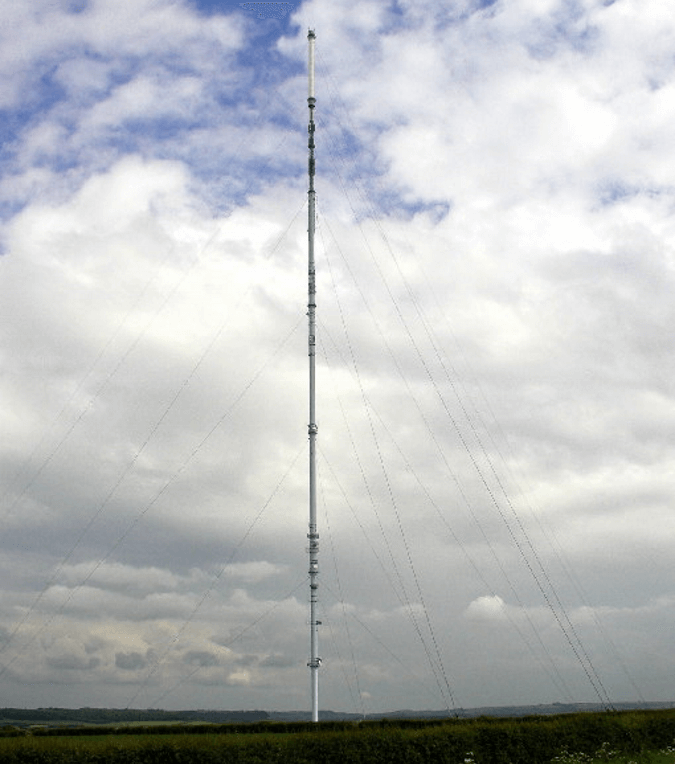 “Belmont TV Mast – geograph.org.uk – 15129” by Andy Beecroft via Wikimedia Commons / CC BY-SA 2.0 / Image resized. 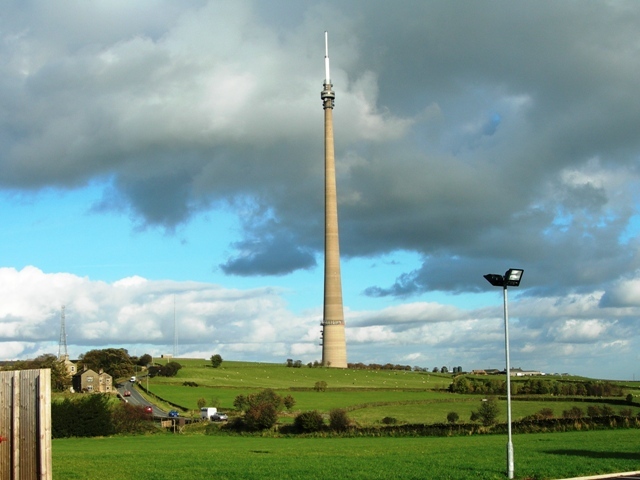 “Emley Moor TV Mast – geograph.org.uk – 1016768” By Ratsbew via Wikimedia Commons / CC BY-SA 3.0 / Image cropped and resized from original. 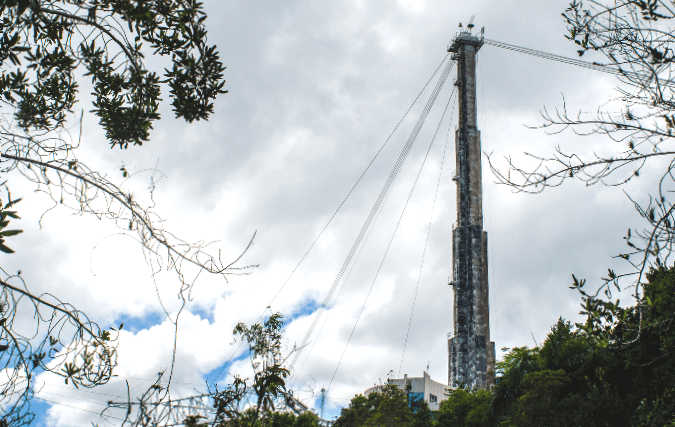 Article 219 of the Air Navigation Order (published within CAP393) states that a tall structure having a height of 150 metres or more above ground level can be an En-route obstacle. Ofcom – UK Digital Television Transmitter Details via www.ofcom.org.uk (last accessed 13/07/2015). The Skyscraper Center (last accessed 13/07/2015). CAP393 – Air Navigation: The Order and Regulations by The Office of the General Counsel, Civil Aviation Authority (last accessed 13/07/2015).